The Wonderlic test is an intelligence test used to rank problem solving abilities and used by the NFL. Every year, I hear about some quarterback’s great Wonderlic score and I became curious about taking it myself. I went to wonderlictestsample.com for the sample test. The moment I started to take the test, I knew I was in trouble. Specifically, the math questions. I’m sad to say that I’m absolutely terrible at math. From the basics to more advanced, I’m about as disadvantaged as they come. Needless to say, this category of questions was really difficult for me, but the vocabulary questions came much easier. Also, there’s a time limit to this test as well. You have 12 minutes to answer 50 questions. I don’t like being rushed, so this was another element that I knew would decrease my score. I was able to finish 32 questions and I received a 15. 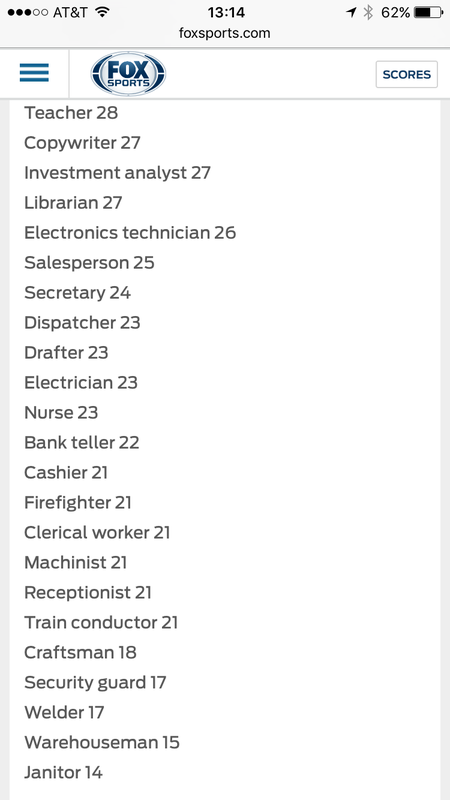 To really seal the deal, they have a reccomended jobs depending on your score and based on mine, I should be a warehouseman or a janitor. 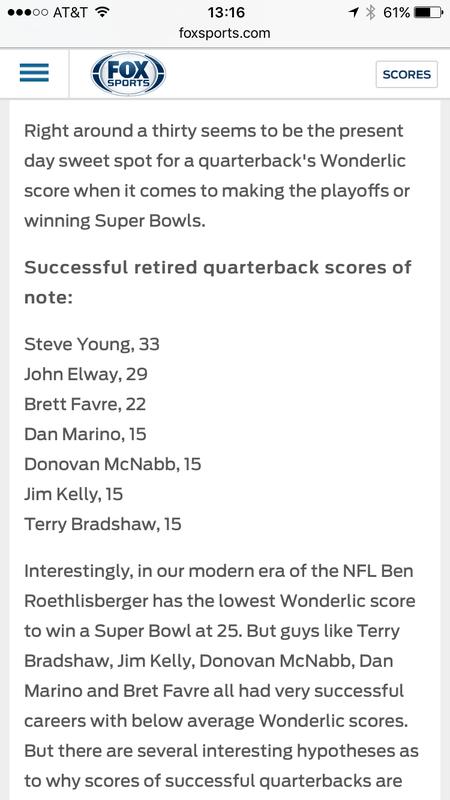 So, yea… I’m not at the same level as Aaron Rodgers, known stud, but I found comfort in the fact that I got the same Wonderlic score as Dan Marino, Jim Kelly, Donovan Mcnabb, and Terry Bradshaw. All in all, it was fun to do. If you’re bored one day, try it and let me know how you did.